Education is fundamental in my area. We do have the best schools, greatest teachers and a pristine curriculum. And I can speak from personal experience that before I started public school in Montgomery County, I suffered from having poor private school elementary education. It was a terrible experience for me because I came out learning nothing more than tying my shoes the right way. However, when I first started school in Montgomery County and ended that experience by graduating high school, I knew then and there that I was extremely fortunate to have experienced the MCPS education system. As I cascaded upwards, grade-wise, I was plunged into Steinbeck, Shakespeare, Wharton, Morrison without a misstep. Field trips were plentiful for grades pre-k and up, to skedaddle from downtown Annapolis through the Chesapeake Peak Bay areas; and if it wasn’t for the environmentally themed Chesapeake Bay trip, I never would’ve seen an actual oriole ( Maryland’s state bird) perching on a wispy branch. I was so grateful. As I progressed into my twenty’s, I learned how some of my own peers from out of state never had fully equipped field trips or even knew who Steinbeck was. If there was a slip up in the future over the stability of the MCPS education system, my heart will surely skip a beat. All children, in the Burtonsville area, have a right to maintain and fortify their childhood experiences with the latest books, Updated computers and especially with highly financed field trips across county lines. 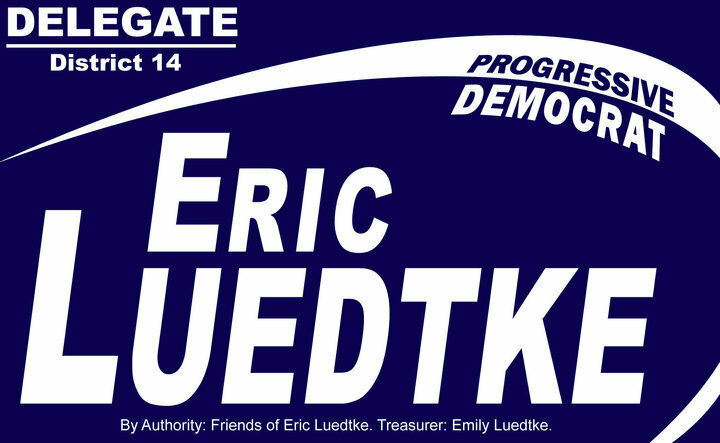 Based on outside research, Eric Luedtke, a Progressive Democrat, is passionate about education being a forefront for district 14. Besides education, he wants to push for affordable healthcare, fixing our transportation troubles and with building a family-friendly economy. Any delegate who pushes education first: Understands how it can shape a child’s future. Education can lure children into grad school and steer them into a promising future. Wouldn’t you want your child to come out of the MCPS education system with iron-clad confidence? Wouldn’t you want them to have colorful field trips, dissect frogs and to be able to win a full ride scholarship to whatever college their little hearts desire? The choice is up to you. Come election day, pick the delegate who spearheads education. If you want to learn more about Eric Luedtke, join his Facebook Page. Previous PostHow To Spot A Casanova: It’s Not Always Easy..